Susan Boyle’s Debut CD & Singing Tonight! You can preorder now at Amazon. I just found out. Some of you probably already knew. She’s apparently going to be singing the song on America’s Got Talent TONIGHT, which airs at 8PM EDT, 7PM CDT. Guess who is going to be planted in front of the big screen TV tonight at 7? 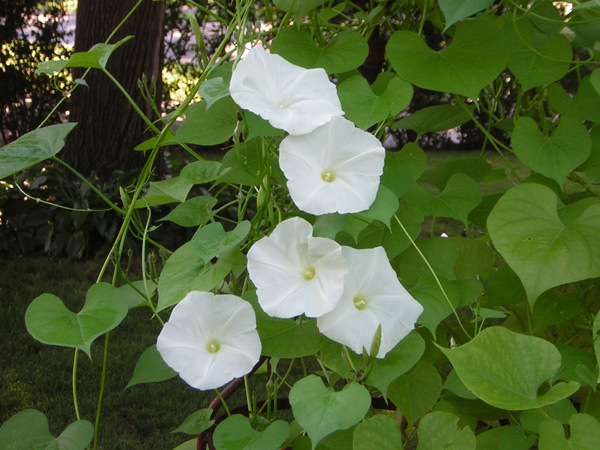 These simple, common white morning glories arrested my attention this morning. They are the very essence of beauty, are they not?